The Rocky Mountain Elk Foundation seeks a passionate conservationist and team player to fill our Assistant Editor position. Position is responsible for performing fundamental tasks essential to creating six issues of Bugle magazine and various newsletters that reflect and advance the mission and vision of the RMEF. Degree and/or experience & demonstrated ability in journalism, creative writing or related field. Experience with publications devoted specifically to wildlife conservation and natural resource issues preferred. Position located in Missoula, Montana. To apply, email a letter of interest and resume to jobs@rmef.org by February 13th. RMEF is an Equal Opportunity Employer. Perform fundamental tasks essential to creating six issues of Bugle magazine and various newsletters that reflect and advance the mission and vision of the Rocky Mountain Elk Foundation. Primary responsibilities include writing and editing volunteer communications, including planning and execution of the Wapiti Wire (WW) newsletter and Bugle’s In the Field and On the Ground (IFOG) section, as well as a wide variety of other Bugle departments. Work closely with Sales, Creative Services, Field Operations and other RMEF departments. Write and edit in collaboration with other publications and marketing staff. Give regular updates on the assigned departments and what materials are still outstanding. Help copyedit other editor’s stories for each Bugle issue, then critique content, style and production process of each issue once it is published, offering suggestions for how all three can be improved. Regularly update a style guide for Bugle. Oversee the coordination and creation of IFOG and WW, and look for ways to make them meaningful to readers. Provide critical oversight and strategic planning for both. Coordinate with Field Staff, Creative Services and others, take photos and attend volunteer meetings and functions. Work closely with publications interns to assign, edit and critique stories for WW and IFOG. Offer suggestions and guidance for improving their interviewing, researching, writing skills and developing stories to celebrate the RMEF. Assign, edit and critique stories for various Bugle departments (see #10 below for full list). Collaborate extensively with Creative Services to ensure that the design, photography and illustrations provide the best possible complement to the editorial content in Bugle and WW. Provide Creative Services, Sales and Distribution departments with slates for upcoming Bugle issues as they evolve, and with synopses for pending stories. Cultivate contacts with and solicit story ideas from RMEF volunteers and staff, freelance writers and other appropriate individuals. Communicate with writers by requesting additional information and support, offering rewrite suggestions, editing and allowing writers to review the edited manuscript where appropriate. Think about potential photos or good photo opportunities. Work with the Senior Editor to negotiate payment for any articles that deviate from standard pay scale and ensure stories arrive by editorial deadline. Brainstorm and discuss editorial and advertising slates for pending issues. Engage in regular short- and long-range planning sessions for the magazine. Stay abreast of biological, social and political issues influencing elk ecology and hunting by reading a broad spectrum of technical and popular literature. Highlight and share pertinent information with Bugle editorial team. Conceive and write feature articles for Bugle, WW, other publications, e-newsletters and RMEF’s website as assigned by supervisor. Perform other work as required including possible attendance at Elk Camp, SHOT Show and other events. Bachelor’s degree and/or experience and demonstrated ability in journalism, creative writing or related field. Emphasis on natural sciences helpful. Preferred experience editing publications devoted specifically to wildlife conservation and natural resource issues. Knowledge and support of RMEF’s mission, goals and policies; including the biological, sociological and political elements that shape them. 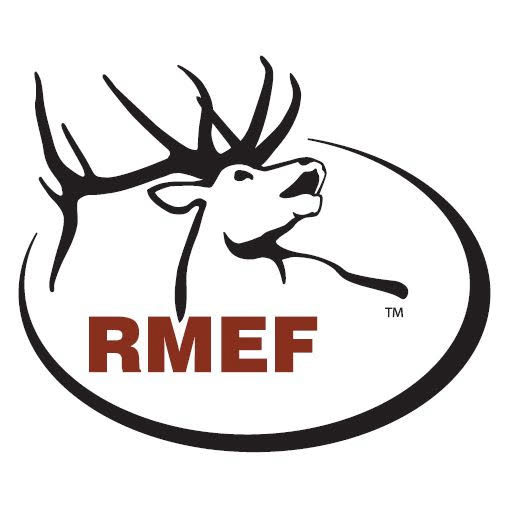 Knowledge and understanding of RMEF’s diverse membership and volunteer base. Ability to hear, accentuate and clarify a writer’s voice, mastery of style and grammar. Firm understanding of what good writing is and how it is achieved; ability to detect and correct writing issues. Knowledge of wildlife/wildlands conservation and hunting. Ability to handle multiple projects simultaneously and manage priorities. Ability to set and fulfill short- and long-term goals and priorities. Strong research and interviewing skills (able to establish good rapport with diverse individuals, eliciting profound, clear and thorough information). Interest in/commitment to hunting highly valued. Must have excellent computer skills including knowledge of Microsoft Office. Must be able to effectively work independently and in a team environment. Must be able to resolve conflict in an effective and positive manner. Must sit for long periods of time, use a computer extensively, reach forward and to the side, bend from both standing and sitting position. Some travel is required and may include plane, car, ATV, horse and foot.